Please join me in Dublin, Ohio, for a special presentation for a truly great cause. 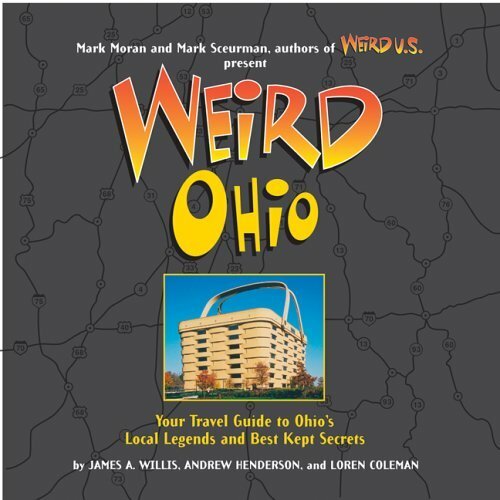 On Saturday, October 12th at 7:30, I will be giving my very popular (and thoroughly entertaining, if I may be so bold) presentation, Just How Weird Is Ohio. Essentially, it’s a multimedia presentation that takes you on a journey to my favorite places I covered in Weird Ohio. The event will be held at the Dublin Community Church in downtown Dublin, Ohio. While this is a free event, people will have the option to make a Free Will Donation, meaning you will be able to toss in a couple of bucks if you thought the presentation was worth it. But you’re not under any obligation to do so. Either way, here’s the best part: I will be donating the proceeds to Camp GLOW. Now how can you beat that? You get to come out, listen to me tell you some crazy stories about the Buckeye State, and help make a difference in the world in the process. To help sweeten the deal and entice you to come out, if enough people show up, I just might show the infamous Blue Flash video–yours truly riding a homemade roller coaster. Ask anyone who’s seen it and they’ll tell you that video alone is worth the price of admission! As I mentioned, this is a free event, but seating is limited. So to reserve your seats, please e-mail Brenda Rizzo at brizzo469@gmail.com BEFORE OCTOBER 5TH. More information about Camp GLOW can be found here. ← Come Spend Halloween Night With Me!